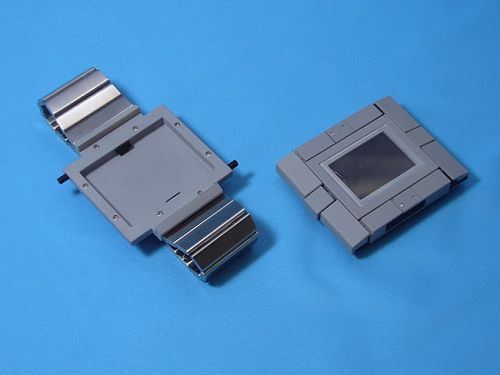 [image title=”takara-tomy-tf-watch-1″ size=”medium” id=”1809″ align=”left” linkto=”viewer” ]After the Japanese toy company merger, Takara Tomy is always on the lookout for new ideas with their franchise. Sports label, Music label, and now the Chrono Label brings back the retro idea of transforming wrist-watch. 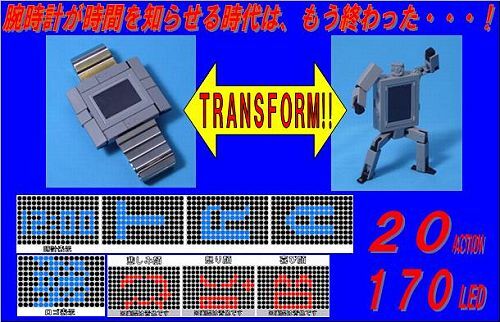 Remember the old time with your digital watch which can transform into robots? Now it’s your chance to bring back the old memories but with a high-end product, not to mention the high price. This Chrono Label transformers comes in 2 version, Time Limit and Auto Ceptor. They carry a price of 30,000yen each. 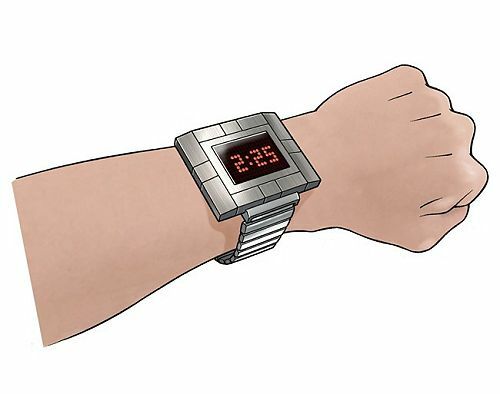 Accordingly, the LCD on the watch features 170 LEDs to display rudimentary graphics which depict a smiley face, sleepy face, or the Autobots/Decepticons symbol. 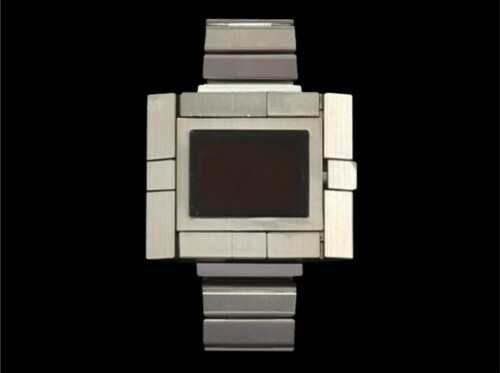 The watch also displays the time and various letters on the LCD. Over 20 actions/letters can be displayed! Toywiz will start taking preorders on these items soon. Release date shall be end of August 2009.
how much for this auto ceptor?..